We are giving again the start in life! For most of the parents, the birth of a child is a joy. For the parents of the preterm infants the joy of this beginning is shadowed by worries, fears and hope. 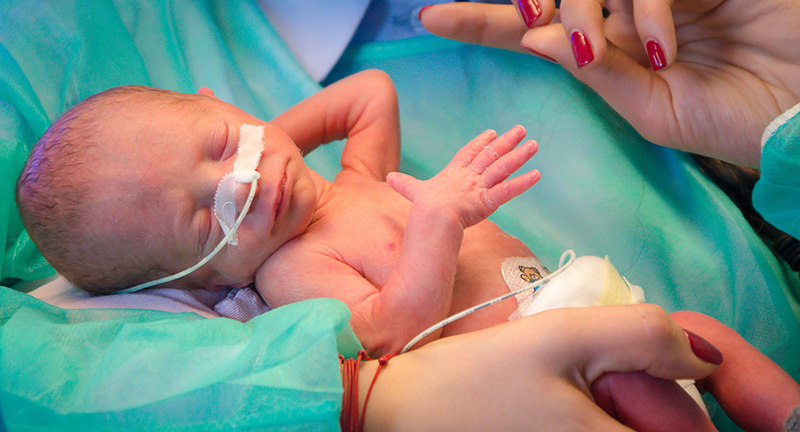 The road of life is even harder for the preterm infants, for these children born too soon. The warmth, serenity, and peace of the mother’s body, of the uterus, so much needed for the development of these little bodies disappears. And the doctors and nurses must ensure them the best environment for their continuous development. And for that they need modern equipments and machines. Among them monitors are needed, machines that are meant to follow, every moment, the needs of the organism in order to identify and treat any change or abnormality in the preterm infant evolution. The monitor for cerebral oxygenation allows adaptation of the intensive care to brain needs of preterm infants and newborns. 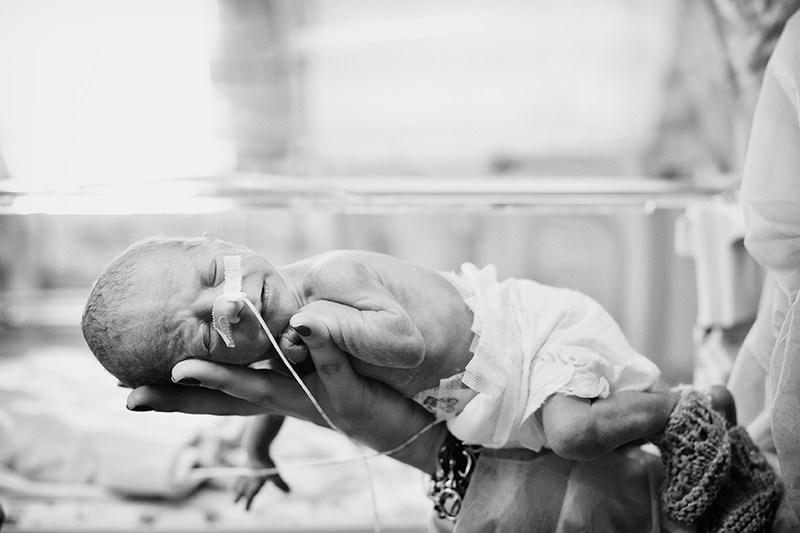 And since our goal is survival in the best conditions, monitoring of the cerebral activity is mandatory for preventing the multiple unwanted harmful influences of the prematurity and of other neonatal conditions on the developing brain. „We give start in life” – during Sibiu Semimarathon, 2014, in partnership with Maini Unite and E.M.M.A Sibiu. Results: acquisition of a modern ultrasound machine, a modern incubator, a neonatal pulseoximeter, respiratory circuits, kits for blood tests, and different supplies necessary for the care and treatment of the preterm infants and neonates in the neonatal intensive care unit. and over 25 humanitarian and charity projects for helping children in difficult situations. E.M.M.A. Organization – Eternal Miracle Maternal Alleviation is a non-governmental, non-profit, and without any political or religious affiliation whose activity is based on volunteering for the support of the families facing the drama of loosing a child and, mostly, for the families that loose a child before birth since their pain is less understood. Every year, approximately 400-500 preterm infants from Sibiu, Alba, and Valcea counties are cared for in the Neonatal Intensive Care Unit and in the Preterm Infant Department of the Clinical County Emergency Hospital Sibiu, these units being their first „homes”. Improvement of the preterm infant and neonatal survival is the target of every neonatal intensive care unit but survival in the best conditions, discharge of the children with the best prognosis for their future development is the dream of every neonatal intensive care unit team. After days, weeks, and sometimes months of hospitalization, this is also the dream of every mother, of every family whose child crosses the threshold of life through a neonatal intensive care unit. For the neonatal intensive care unit, this year, with your support, we would like to acquire a special monitor for cerebral functions, a monitor that allows a careful tracking of the possible problems in the brain and their prompt correction in order to avoid the occurrence of neurological sequelae, the most severe problems associated to prematurity on long term. For this project, this year, again, three associations joined their hands and hearts, associations that are fighting, day by day, for a better and more beautiful life of our children: Baby Care Sibiu, Maini Unite, and E.M.M.A. Monitoring of the cerebral oxygenation allows an earlier tracking of the changes in blood circulation at the cerebral level, changes that may cause the brain lesions associated to prematurity and other perinatal conditions. Prompt interventions in these situations may prevent and treat in time the blood circulation abnormalities and, in this way, may prevent the cerebral lesions and their sequelae. This way we will have not only a better survival in neonates and preterm infants but more neonates and preterm infants with better chances for a normal future life. The amount mentioned above is needed entirely for the acquisition of the cerebral oxygenation monitor and of the supplies necessary for its functioning.